Free E-Book: What's All the Fuss About Form 990? 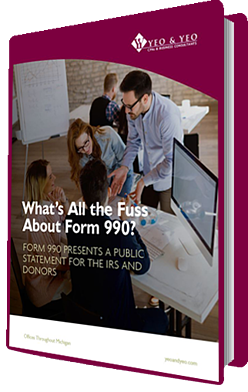 eBook: What's All the Fuss About Form 990? Benefits Form 990 Offers an Organization. Kindly fill out the below form to receive your eBook. After completing and submitting this form, you will receive an email shortly with your eBook. Fill out the form on the right to download your free copy.